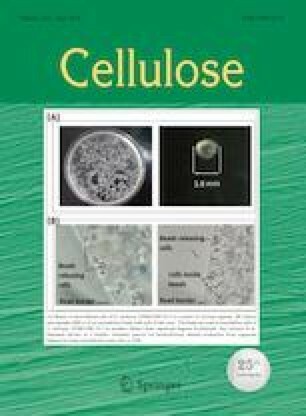 The flame resistance of cotton fabric was greatly enhanced by a novel reactive flame retardant with serrated structure, ammonium salt of 1,3-diaminopropane tetra-(methylenephosphonic acid) (ADDTMPA), and the softness of cotton fabric was retained very well. The results showed that cotton fabric modified by 30% ADDTMPA had a LOI value of 41.5%, which remained well after 40 laundering cycles with a LOI value of 26.3%. The treated cotton fabric was not ignited in vertical flammability tests, and the results of cone calorimetry proved that the heat release rates and total heat release of treated cotton fabric decreased substantially. TG analysis showed that the treated cotton fabric had the lower initial decomposition temperature and more residues than control cotton fabric during combustion. TG-IR analysis showed that the treated cotton fabric released much less flammable volatile species than control cotton fabric. FTIR analysis indicated that the flame retardant was reactive in condensed phase and the flame retardant was grafted on cellulose by P–O–C bonds. EDX results showed that a large amount of phosphorus was introduced into the cotton fabric. SEM showed that the modification had little effect on the surface of cotton fibers, and a large amount of residue was maintained after combustion. The treatment by ADDTMPA could produce highly effective flame-retardant and soft cotton fabric. 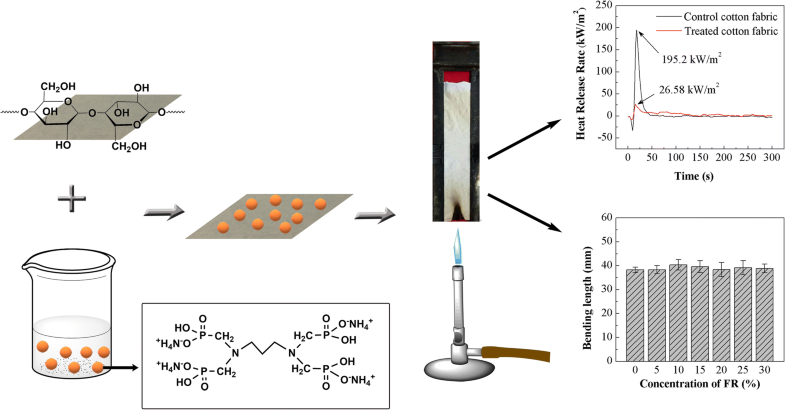 A novel phosphorus-based, halogen-free and formaldehyde-free flame retardant with serrated structure and reactive groups was synthesized to prepare highly efficient flame-retardant and soft cotton fabric by chemical grafting. This work was supported by the “Fundamental Research Funds for the Central Universities” (Grant No. XDJK2018D009).